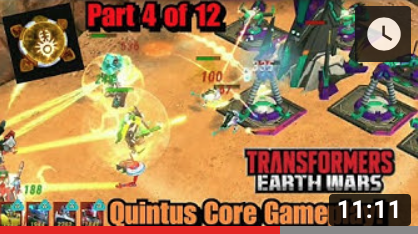 Popular Transformers Earth Wars YouTuber Alpha Prime of Prime Union, our media partner here at Gaming-fans.com, is back with his latest TFEW video showing us how to effectively use the newest Prime Core in the game, the Quintus Prime Core. The Quintus Prime Core, starting at Level 1 it reads “Create a sharkticon with 10.5% of your health and damage that lasts for 7 seconds,” with the health stat increasing based on the level of the Prime Core. Originally viewed by many as a lesser core, the more use and testing of the Quintus Prime Core is showing that it can be very effective when used properly. 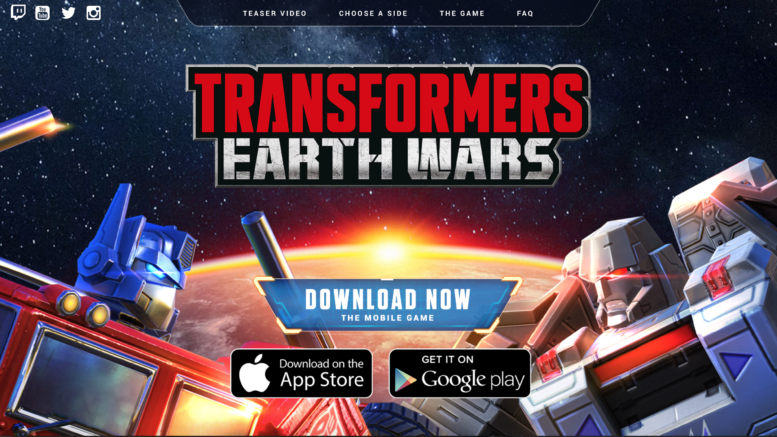 Be the first to comment on "TFEW: Alpha Prime Shows How to Use the Quintus Prime Core Effectively"